Bands with dual songwriters are a powder keg. Factor in ego, craft, and relationships, and it’s all but impossible to dovetail differing styles into something sonically, tonally, and thematically consistent. 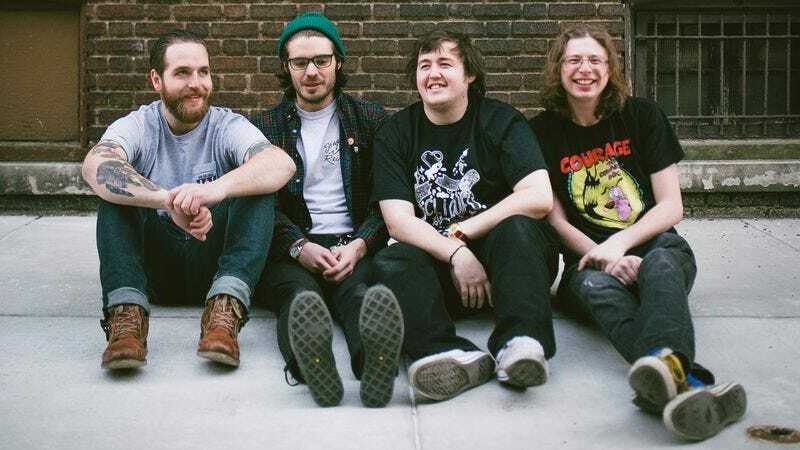 The boys of Philadelphia rock outfit Modern Baseball, however, make it look easy. Sure, Brendan Lukens’ voice is more nasal than Jake Ewald’s and his lyrics more rooted in the specifics of internet culture, but across two records, a couple EPs, and oodles of splits, the old friends find cohesion in their mutual laments. But they’re in their 20s now. Bruised hearts and suburban angst are no longer the alpha and omega. Since the release of 2014’s You’re Gonna Miss It All, Ewald lost a close family member, and Lukens received treatment for addiction and bipolar disorder. They’re growing. So is their art. It seems a self-aware decision, then, for the band to have split Holy Ghost down the middle, with Ewald’s songs set to side A and Lukens’ side B. On first listen, the differences are stark. Ewald kicks off his run with a choral ballad, while Lukens launches into his with distortion and a snarl. Ewald’s songs are vibrant and thoughtful, with lyrics that exploit his sense of his own inauthenticity and long for the simple pleasures of life back home. “Wedding Singer” and “Mass” evoke the hooky Modern Baseball of yore, while the darker, more abstract “Everyday” and “Hiding” resist the easy shout-along, the latter resulting in the album’s most affecting catharsis. “Hiding” is positively cavernous, with ghostly drones, trills, and feedback punctuating Ewald’s gentle finger-picking. 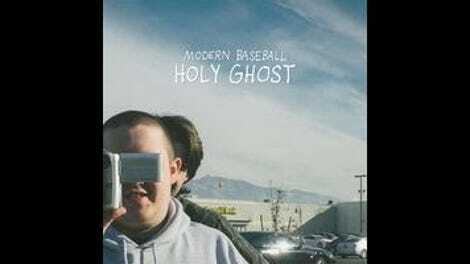 It’s Modern Baseball’s best song to date. Lukens’ batch is less resonant but powerful in the way it chronicles his emotional turmoil, from paranoia to resentment to recovery. On previous records, his infectious hooks and esoteric lyrics exuded an approachable warmth, but here he’s opted for a wall of noise and a vocal delivery that’s pointedly aggressive. “I’m not the same as I was,” he sings with bile in his throat on “Breathing In Stereo,” “But that’s cool, whatever.” Such a lyric recalls You’re Gonna Miss It All’s “Rock Bottom,” serving as a stark contrast to that song’s central statement of “Whatever, forever.” One of life’s hardest lessons is that, in adulthood, “whatever” is no longer a valid response to problems. So, no, Holy Ghost isn’t as lighthearted as the band’s previous records. And it’s true that it lacks the sense of humor that propelled songs like “Going To Bed Now” and “Rock Bottom.” But this batch of songs serves a higher purpose: In addition to being a powerful examination of self-worth and how it tends to wither beneath the responsibilities of adulthood, the record is also a testament to the band’s growth musically and thematically. Ewald even seems to sneer at the carefree philosophies of youth when he sings about how “you ate the words you always used to say.” “Whatever, forever” just no longer applies. The Holy Ghost, that intangible something that represents forgiveness and spiritually fulfillment, remains out of reach. This record is the space in between.